Your home is full of value – but when you’re still making payments on your home, you can find yourself in need of extra money. And though many people don’t realize it, you could use your home’s value to help yourself financially. A reverse mortgage could be your key to extra cash. Here’s what you need to know about saving money with a reverse mortgage. A reverse mortgage is exactly as its name implies: it’s the opposite of a traditional mortgage. Instead of taking out a loan from a bank to make a purchase, like you did if you took out a mortgage when you bought your home, a reverse mortgage lets you take out a “loan” from your very own home. A reverse mortgage is a home equity loan. You borrow money from your home’s value – for example, $300,000 – and that money is given to you either in one lump sum, monthly checks, or installment payments. You’re then free to use that cash for whatever you need, from daily expenses to monthly bills. And you won’t have to make a single monthly mortgage payment towards your home. As Bankrate writes, reverse mortgages have only been around since 1989. While they were once considered a “last resort” for homeowners in need of money, they’ve become a smart, secure way to generate income – particularly for those approaching retirement. There are just a few qualifications you must meet in order to qualify for a reverse mortgage. First, you must be age 62 or older. You must also either own your home outright or have only a low mortgage balance remaining. Aside from these two stringent rules, you also need to plan to live in your home for the foreseeable future. If you don’t physically reside in your home, your reverse mortgage could be canceled and you could be required to repay the funds. However, as long as you’re in your home, you’re able to receive reverse mortgage funds for years to come. Designed for seniors, qualifying for a reverse mortgage is relatively easy. You just need to search for and speak with a financial expert, or someone who’s qualified and experienced in the area of reverse mortgages. 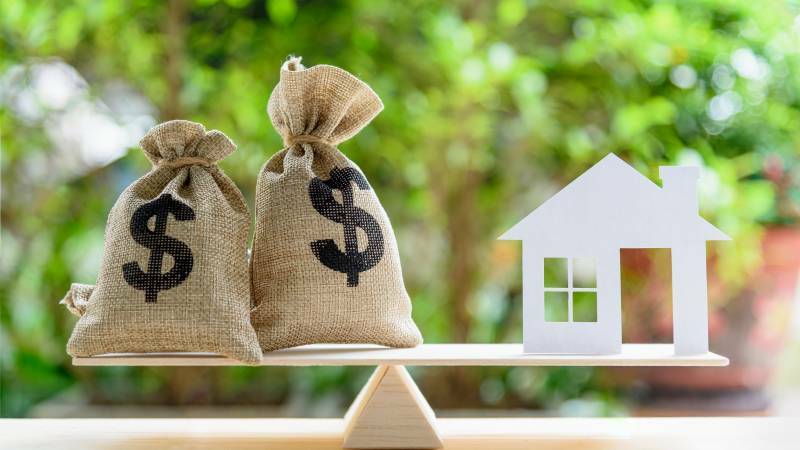 If you’re considering a reverse mortgage, there’s one very important question to ask: how much money will you get out of your home’s equity? A reverse mortgage doesn’t allow you to take out 100% of your home’s value. Most commonly, Bankrate reports, seniors are able to get an average of 50% of their home’s equity turned into cash payments. Age also plays a role in how much money you’ll get. Older borrowers can actually borrow more equity, getting a bigger payout with a reverse mortgage. For example, LendingTree states that at age 62, you could get approximately 52%, while someone age 75 would be able to borrow 10% more. So, for a home worth $500,000, a 62-year-old borrower would get approximately $260,000 from a reverse mortgage. A 75-year-old would get approximately $310,000 for the same home. That extra percentage can mean thousands of additional dollars: an additional $50,000 of money available for the older individual. In addition to the hundreds of thousands of dollars you’ll earn with a reverse mortgage, there’s another huge financial perk. You won’t have to make a monthly mortgage payment any longer! Instead, your reverse mortgage financier will send you a check each month, paying you for your home and giving you a steady income. Are you ready to put your home to work for you? There’s a ton of value waiting within your home, available for you to use however you’d like. And that value could equal quite a lot of money for you to spend on important necessities or living expenses. Stop paying your monthly mortgage payment and let your home’s worth pay you instead. If you meet the qualifications for a reverse mortgage, or if you’d like to find out more, you can start the process by searching for a qualified financial expert or reverse mortgage professional near you. Once you find the right person to work with, the process is easy. If you’re interested in a reverse mortgage, start a search today.